I feel like it’s been awhile since I did a colour-themed post, so here you go. Since it’s still all sunshiny and bright outside, I thought I’d go for an appropriately summery shade this time around – lime green. Behold, a few pretty picks that channel this vibrant, modern shade. 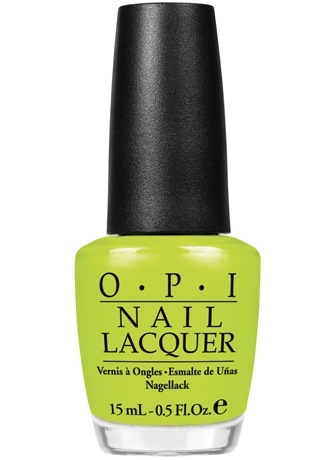 Hip pop songstress Nicki Minaj is known for her out-there style and preference for candy-coated hues, so it’s no wonder her debut collection for nail polish gurus OPI was loaded with notice-me shades of icy blue, cotton candy pink, and this acid green shade, known as ‘Did It On Em’. Not for the faint of heart, this is a fun gift for the wild child in your circle – whether as a pre-birthday present so she can make a splash for a night out, or tucked into the stocking of your favourite lady friend this holiday season. After all, green *is* a festive colour. Maybe you’ve got a friend that’s moving into a new place, buying a summer cottage, or simply wants some additional dishes for entertaining. 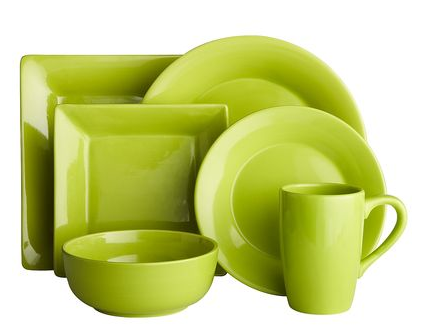 Look no further than Pier 1’s essential dinnerware collection. With both circular and square shapes, plus the matching accoutrements, the quality for this price really can’t be beat – it rocks as a bridal shower gift idea, seeing as how you can pick up four place settings for under $100. Surprised a body care collection can be a vibrant lime hue, but not actually smell that way? Well there are plenty of other bright green fruits vying for ownership of the shade, including delicious juicy pear, which has been paired up with exotic peony flower in this classic Fruits & Passion collection. The thing I love about Fruits & Passion is if you’re really gaga for one of their signature scents, you can truly stock up a pal or parent with a dozen different items – from home fragrance and hand soap to personal care items like deodorant, creams, and eau de fruits perfumes. Pack up a picnic lunch for the remaining summery days with this festive, family-friendly modern picnic basket. 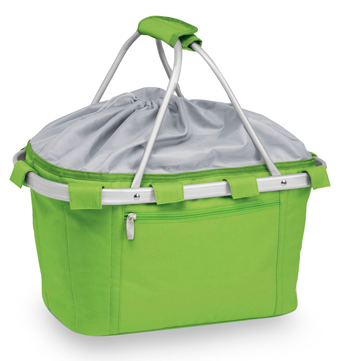 With an insulated top to keep your soup warm and your fried chicken cool, plus a waterproof interior for any sweating beverages, there’s plenty of room for snacks, meals, and summer memories to be made with this fun gift. Buy it for your sister as a thank-you for babysitting the kids a few extra times this summer, or gift it to a friend and take them for a lunch date as a pick-me-up if they’re going through a rough time. One of my favourite ways to get in that requisite fashionable colour pop is through a bold accessory. 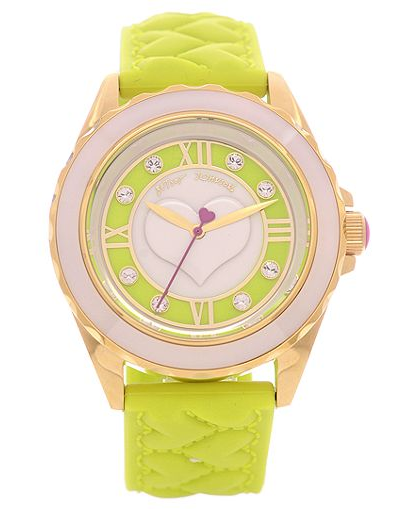 Enter Betsey Johnson’s way-cute citrus green watch, with a heart-embellished silicon strap and watch face, and stylish accents like gold plating, sparkly rhinestones, and a heart-topped second hand. The price is definitely right for a birthday gift for your daughter, sibling, or wife.